Defense Minister Liberman asks Naftali Bennett to intervene regarding South Tel Aviv school being turned over to illegal migrants' children. 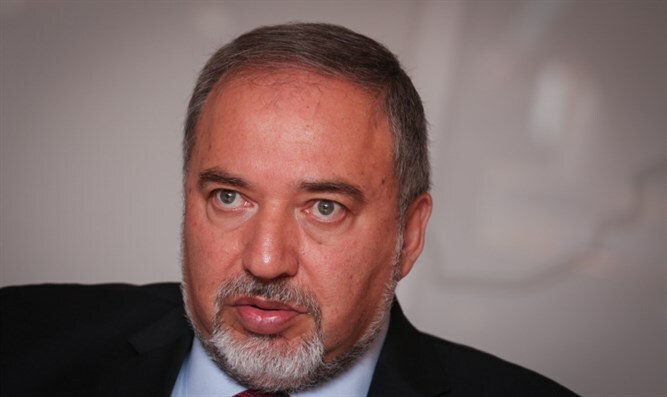 Defense Minister Avigdor Liberman spoke at the recent cabinet meeting against the intended closure of the 'Shevach Mofet" high school in South Tel Aviv in order to use it for the children of illegal migrants. Liberman addressed Education Minister Naftali Bennett and said; "The school in question is a flagship school in absorbing new immigrants and is now slated to be a school for illegal refugees." At this point Ministers Akunis and Regev intervened and asked Liberman to correct his statement from "refugees" to migrants. Liberman corrected himself and said to the Education Minister "This represents a wrong set of priorities and I hope that you will intervene on this issue." Prime Minister Netanyahu also referred to the issue, and said to the ministers "This is an interesting topic and we will discuss it during the next cabinet meeting". Last week the Tel Aviv municipality announced that they intend to close the school and turn it into an institution for the children of migrants living in the area. The school is considered to be an excellent educational facility with 100% of its students entitled to receive a matriculation certificate. According to related parties, there was never a proper discussion before a decision was taken on the subject. They said that they intend to maintain the format of the school even if the school is forced to move from its place. MK Oded Porer, a member of Liberman's faction, wrote a letter to Tel Aviv Mayor Ron Huldai and demanded to know whether the subject had been coordinated with the Education Ministry, and if other options had been raised.